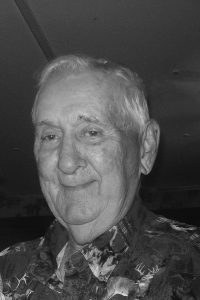 Milton Otto Heptner, 86, died the 12th of September 2018 near his home of Lockhart, TX. Mr. Heptner was born August 30, 1932 in the strong German community of Pottsville, TX. He was the second to the youngest of 10 children. His father died when he was 3 years old, leaving his resilient mother to raise him and his siblings on a farm in Hamilton County. After high school he entered the Army where he was sent to Germany to serve his country. When he returned from the Army he held many jobs, the longest was his time spent as a mailman with the United States Postal Service. After his retirement he spent his days mowing lawns and spending time with family. Milton was an avid hunter and Texas Longhorns Fan. He is remembered as a loving father and grandpa. He always put family first, offering to help in any way he could every time someone was in need. He was a great man with a gentle soul and a sweet smile. We’ve all gained an amazing angel to look over us here on Earth and look forward to seeing him again in Heaven. Until then, we will fill the void of his loss with the beautiful memories he left behind. He is survived by his son, David Heptner and daughter-in-law Francine Hunt; daughter, Leah Heptner and husband Glenn Rios; granddaughter, Amanda Sliwa and grandson-in-law Lucas Sliwa; granddaughter, Brittany Michelle Phillips; grandson, Brandon Phillips along with granddaughter-in-law, Brittany Shae Phillips and his great grandchildren: Weston, Waylon and Paisley. A memorial service with military honors will be held at 10 AM, September 29, 2018 at the McCurdy Funeral Home located at 105 E Pecan St. in Lockhart, TX. A pot luck lunch and reception will follow nearby at The Presbyterian Life Center found at 119 North Commerce. You may drop off your dish at the life center start at 8:30am, refrigeration is available. The family would like to thank you in advance for your attendance. Arrangements are under the care and guidance of McCurdy Funeral Home, www.mccurdyfuneralhome.com.